Bilingual Italian-English. 127 pp. $15. GIUSEPPE TALIA was born in Ferruzzano, Calabria in 1964. 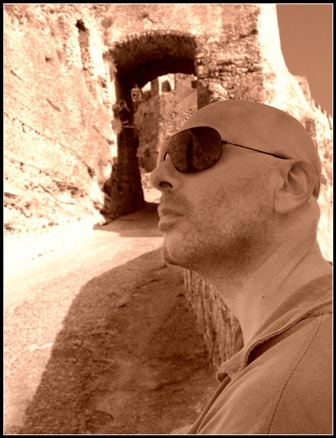 His poetry publications include Le Vocali Vissute / The Vowels Lived (Empoli: Ibiskos Editrice, 1999), Thalìa (Rome: Lepisma, 2008), Salumida (Firenze: Paideia, 2010). 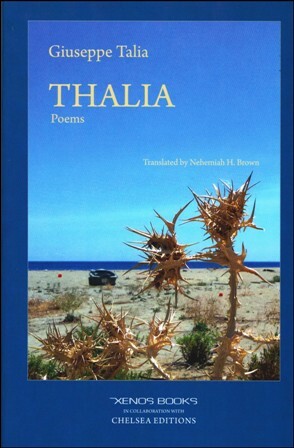 More recent titles are: I sentieri del Tempo Ostinato (Dieci poeti italiani in Polonia) / The Path to Hard Times (Ten Italian Poets in Poland) (Rome: Lepisma, 2011), Come è finita la guerra di Troia non ricordo / I Don't Remember the Falseness of the Trojan War (Rome: Progetto Cultura, 2016). He has also published books on education, such as L'Integrazione e la Valorizzazione delle Differenze /Integration and the Enhancement of Differences (M.I.U.R., 2011), and Progettazione di Unità di Competenza per il Curricolo Verticale: esperienze di autoformazione in rete / The Design of Vertical Critical Thinking Curricula: The Experience of Didactic Education from the Internet (Firenze: Edizioni Medicea, 2013). He lives in Florence, Italy, and works as a professional training supervisor for tutors at the University of Florence, Department of Sciences of Education and Psychology. "I try to rebuild from the rubble a building that has no foundation (Thalia), but is populated by geckos (lizards) and looks to the Cosmos as to a new resource." So writes Talia in his imaginative introduction. Thalia is one of the nine muses of ancient Greece, the goddess of song and dance, the inspirer of idyllic poetry. This is a book that celebrates the southern climes of Italy, the land of Calabria, all nature, all human joys and emotions, all beauty. Refectory table to eat with two millstones. NEHEMIAH H. BROWN is a writer, pianist, composer, choral director and pastor. He studied at L'Università degli Studi di Firenze, San Francisco State University, the University of Virginia and the University of Massachusetts, and has taught in the United States, Italy, France and five other countries. He has performed numerous theatrical productions such as "Bills Paid," "It's A Possible Dream," "The Underground Railroad" and "The Long Road to Freedom," directed by Italian architect, Eusebio De Cristofaro, with whom he co-founded the Florence Gospel Choir School for African American art and culture. Mr. Brown has performed at The Vatican and the Olympic Stadium in Rome for Pope John Paul, in Bari for Pope Benedict XVI, for officials from Sweden, Peru, Senegal, Cameroon and the United States. His composition, "Save The Children" was performed at the Pitti Immagine Fashion Show in New York.